WORRISOME: The destruction of the foundation laying structure of the proposed Army battalion Southern Kaduna by unknown persons has been receiving condemnation from individuals and groups including the State Governor, Nasir El-Rufai. El-Rufai and others on Saturday strongly condemned the act, describing it as unfortunate. Also as a group, Southern Kaduna Concerned Youth, SOKACOY describe the development as a major set back to peace restoration agenda in Southern Kaduna by enemies of troubled zone of Southern Kaduna. Coordinator of the group, Adamu Barde Kagarko in a press conference said, ”as concerned citizens of Southern Kaduna, we commiserate with the victims of any of the attacks and we pray that God will heal every family that has lost a loved one or any property in those acts of wickedness by man to man. May the good Lord bring everlasting peace to our region. 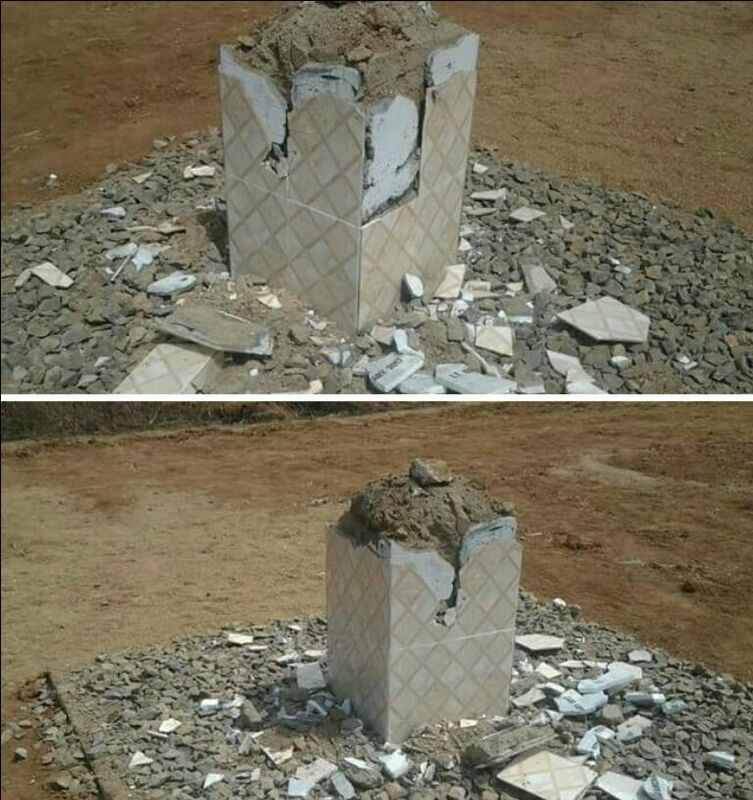 “Our attention has also been drawn to the wicked act that was perpetrated by our enemies who have destroyed the Foundation of the Military Base that was laid by the Chief of Army Staff and His Excellency, Governor Nasir Ahmed Elrufai in Kafanchan last weekend. We condemned it in its totality and we hope and pray that the perpetrators will be brought to book. It is very sad that when Government is making frantic efforts to secure our region, some enemies of the State from our region are carrying out these unwholesome acts for whatever reasons that is best known to them”, he said. It woukd be recalled that, Chief of Army Staff, Lt. Gen. Tukur Yusuf Buratai and Governor El-Rufai had last week laid the foundation for the establishment of the battalion at Ungwan Yashi area of Zangon Kataf Local Government as a response to the incessant killings occurring in Southern Kaduna since 1980.